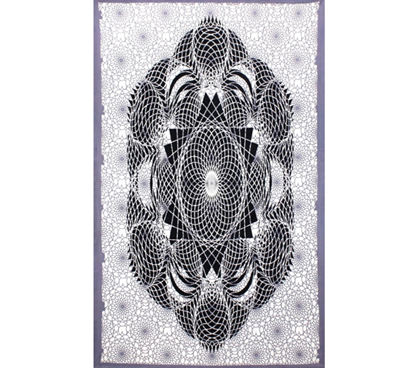 Our Dark Lotus Tapestry is a very visually engaging piece of dorm decor. 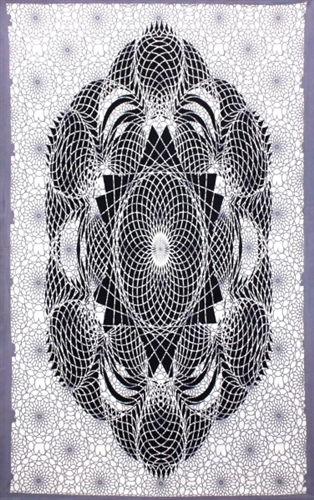 The design of our Dark Lotus Tapestry almost forms a sort of optical illusion that will automatically draw your dorm neighbors' eyes to it if it is on your dorm wall. While our Dark Lotus Tapestry is not bright in color, it sure is a stand-out dorm essential in its unique design! If you are drawn to one-of-a-kind pieces of decor, our Dark Lotus Tapestry could be the perfect addition to your dorm room. Tapestries may not seem like they should be at the top of your list for dorm supplies, but they should definitely be considered when doing your dorm shopping. Dorm tapestries serve a multitude of purposes beyond just design. There are a number of things you can do with tapestries including hanging it from your dorm bunk bed for privacy from your roommate and their friends. If you get creative with your dorm decor, you can be sure to make your dorm room feel like a place where you can feel relaxed and at home.